New Design gets even more oil!! 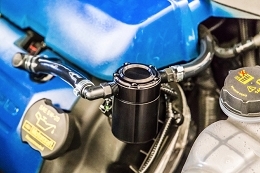 Includes PCV check valve to stop boost from pushing the collected oil from the separator! 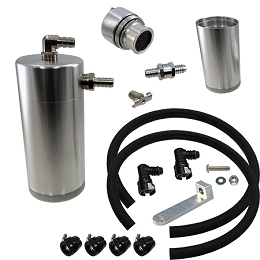 This kit is specific for the 2011-14 Mustang GT passenger side, with Roush, VMP, Whipple(REAR FEED ONLY!!) or FRPP Superchargers. 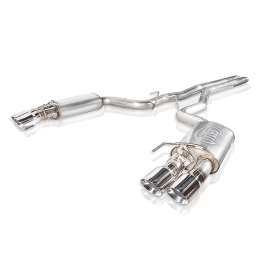 Also fits 2015-2017 GT with Roush, VMP Supercharger. It does NOT fit 2015 GT with Whipple Supercharger. Complete plug and play system, no modification of factory lines needed! 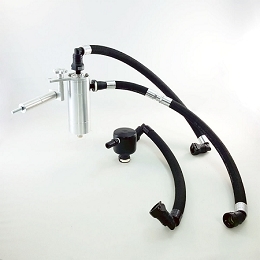 This kit comes with Oil Separator and hoses fully assembled. To combat this, we have developed an oil separator of our own design. Milled from solid billet aluminum this is a rock solid piece. 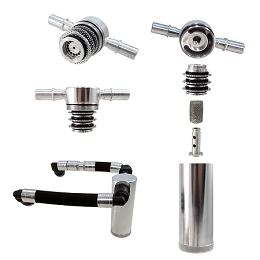 It has a knurled tank base for easy removal to drain the spent oil and an O ring seal to prevent any leaks. We took this unit a step further and added a metal mesh filter to the intake side that collects the vapors, allowing them to grow into larger oil droplets and drains back into the tank. 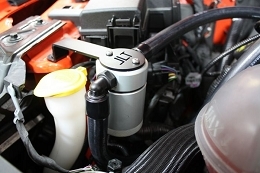 The tank holds 3 oz of fluid, while that may not sound like a lot, you shouldn’t see that much oil in your PCV system. Drain it every 2-2500 miles and you will never come close to filling it.